There is a theory, both propounded and flourished by the French, that holds deep meaning toward understanding life and its vagaries, especially through the philosophical lens of looking at it. Known and hailed by philosophers from all around the world, especially in the context of “Existentialism”, a philosophical approach to life which hails a person as free and that his conduct be defined by act of free will, it often comes to state that certain events in life cannot be explained, they just are. Or, that they just happen to be. Now we aren’t in the middle of an engaging mélange configured by the likes of Jean-Paul Sartre or Albert Camus, masters of existentialist movement, but, if the theory of absurd is ever true for this century in describing it’s people; for its a philosophy and while it can’t be believed, it also cannot be denied for sanctity- in explaining both the flawed, sudden, impacting and unexpected events of life, then perhaps it couldn’t be truer in determining the importance and need for a certain Christopher Henry Gayle. Born to Jamaica, also the home of legendary reggae legend Bob Marley and his Wailers, in the West Indies, but loved by the entire cricketing world for his legendary exploits with the bat, this lanky giant of the game has made the cricket fan dance hypnotic to the beat of his bat which he often uses to whip bowlers whilst attacking them. 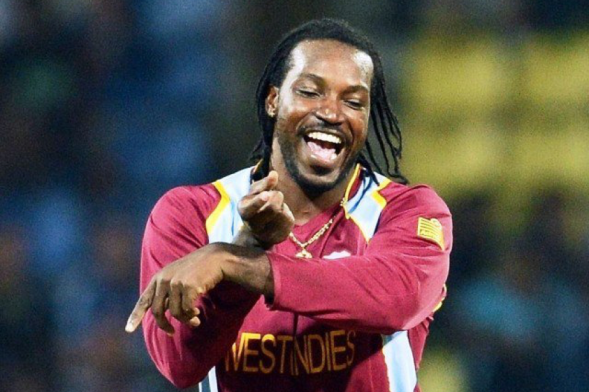 Over 6 feet 4 inches in height, muscular to the point of paralyzing a bowler to shrieks of fear in coming to bowl to him and funnily charismatic, Chris Gayle is perhaps the most engaging cocktail in world cricket today, that serves both controversy, ecstasy and pure joy. There was a joke that was widely circulated in the recently concluded 2015 ICC Cricket World Cup held at Australia- New Zealand. 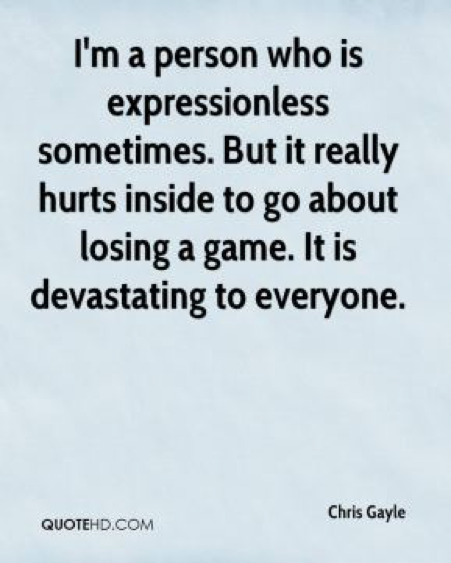 The joke although in its spirit was aimed at celebrating a herculean talent, went down to becoming a visibly acerbic take on a player who has achieved grand heights and in a fashion that is customary to his approach to the game; clean and playful. The West Indies team who were anything but consistent as they have been for close to two painful decades in a row, in a game where they reached lofty heights, still managed to give their fans immense joy. Theirs weren’t sensational triumphs but striking charismas that were earned by daredevilry and sheer awesomeness in all three departments of the game; batting, bowling and fielding. 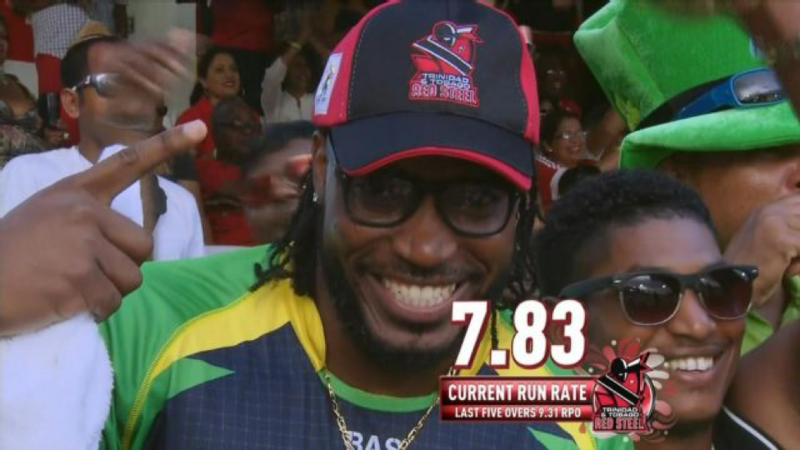 But, the joke was hurting enough for local fans from Jamaica and elsewhere in the Caribbean who perhaps seemed hurt by the nickname painted for one of Windies’ finest batsman ever; Chris Gayle. 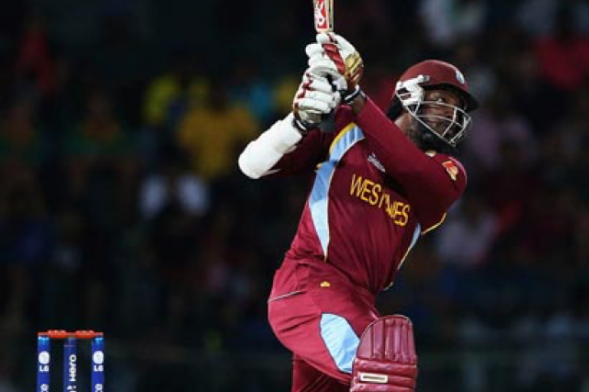 On the occasion of an important Pool B game played between the evolving Zimbabwe and the exhilarating West Indies, Chris Gayle smashed a colossal 215, hitting 15 sixes sending hapless Zimbabweans to all parks of the Canberra’s Manuka Oval. In the process of painting a sorry picture of Zimbabwe’s score charts that seemed lame and exhausted in front of West Indies’ 372 run-piled mountain on the board, he earned the moniker of being “Godzilla of Cricket”. The name in its structure and spirit clearly aims to connote Gayle’s merciless brand of batting, one that in the wake of its carnage has devastated all, from the likes of Pollock, Ntini and Donald (South Africa), Brett Lee and Shane Watson( Australia) and Zaheer Khan, Umar Gul and Lasith Malinga (India, Pakistan and Sri Lanka respectively). 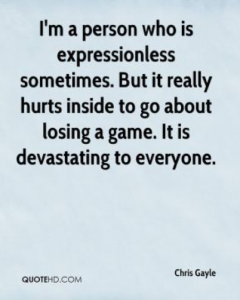 But, if Sachin can be called “God” for his mighty achievements with the bat, one whose whipping blade also spared none including best of the bowlers, then would be it fair to label Gayle as “Godzilla”, because he seems destructive and damaging, even in his glare to the bowlers while he hardly ever sledges? The moniker attributed to Gayle, that perhaps demanded to be taken seriously by cricket pundits was left to fend for itself and Gayle himself didn’t bother either. Never a serious guy once his inning is done and dusted, he moves on to focus on the next game. However, even as Windies climbed some mini heights in a tournament of huge surprises and exits considering no team from the subcontinent made it to the finals, Gayle finished on a personal high, scoring a striking 64 versus a dead rubber game against New Zealand whose grand ask of 394 of the West Indies saw the Caribbean guys manage only a paltry 250. Gayle, a man who doesn’t express his actual passion and love for the West Indies that has given him everything and for whom he has withered and scarred his monstrous frame on many occasions remained the ever cheerful guy despite his teams’ slump, taking heart from the fact that he bettered his personal best score in ODI cricket, feeling content with addressing a frenzied PR who were astonished with his batting exploits. 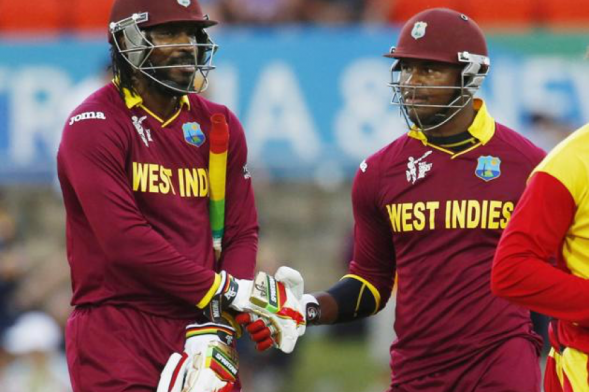 It has now been 16 years for Chris Gayle in international cricket. Debuting against India in the Tests (back in 1999), he played his first ODI against Zimbabwe. Since then, Gayle has brought the cricketing world closer with his esteemed exploits in a game that is fast depleting in his native West Indies and is often seen sobering up to the likes of fast bowlers and medium pacers, hinting finally at some balance that hitherto has remained in favor of the batsmen. Back in the days of 2000s till 2007, it was clearly the reign of Brian Lara, who up to this point sits right on top as West Indies’ top scorer in tests, holding the magnanimous records of cricket’s only quadruple test hundred (400 not out vs England, 2004), 9 double hundreds and 2 triple hundreds. Only Sangakkara and Don Bradman’s names are ahead of Brian, with the former notching up 12 double hundreds and Sir Don being the first ever batsman to record 2 triple tons in tests. Wavell Hinds, opened for Windies in the ODI’s. 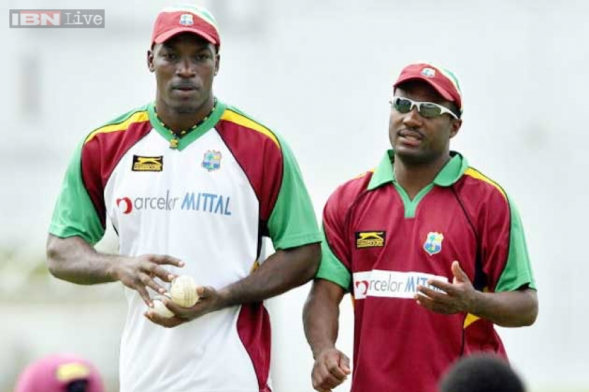 But, Lara would sit back and notice Chris’ astonishing rise to glory, especially post 2004, a year known in international cricket for The Prince’s (Lara) epic 400 at Antigua. Gayle, who neither has ever mentioned Lara being his favorite nor has ever chided the great bat -may just have taken note of the legend’s record when he went on to score his first ever triple hundred. His fantastic 317 came against South Africa, also at Antigua in an intensely competitive series contested by West Indies who were spurred to great heights by Gayle’s efforts. But he wasn’t to stop there. In perhaps his silent hunt to tame Lara’s world record score of 400, Gayle, 2 years post Lara’s retirement did something special in Sri Lanka. The pitch, this time around in 2009 was bouncy yet surprising, anything but turning and yet offered bowlers the odd help they needed. Gayle, then 30 and at the peak of his career struck a humungous 333, also his popular jersey number against a Lankan side that had Dilhara Fernando, Sangakkara, Jayawardene in tandem. 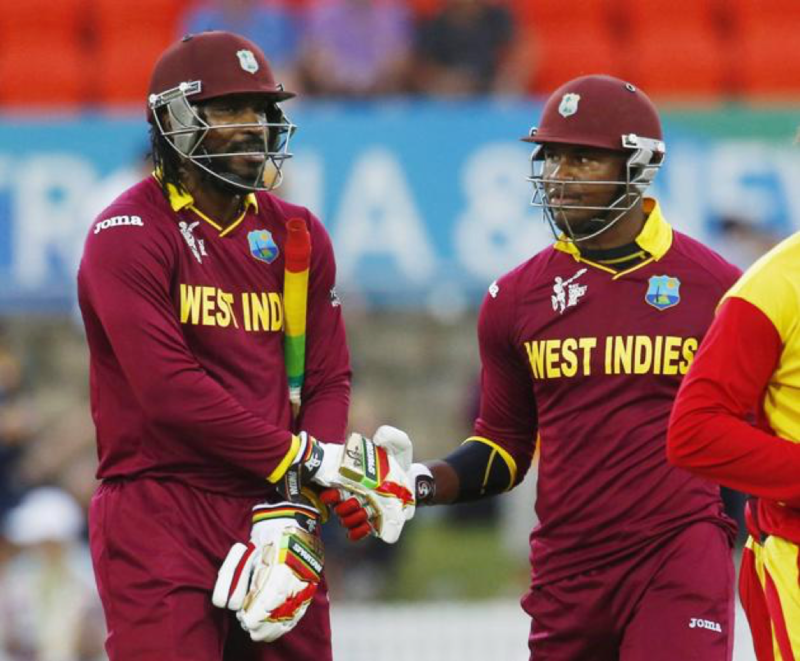 Windies drew the test and Gayle saved the day for his beloved side. 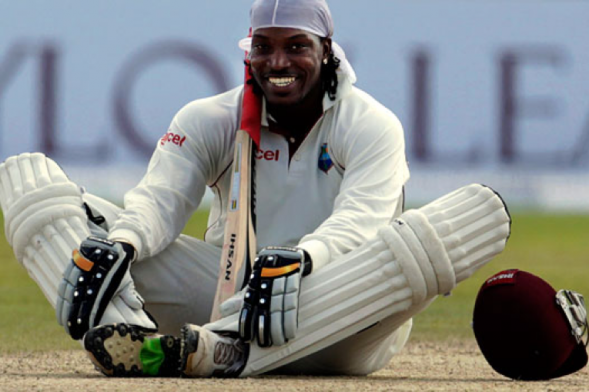 He may not have the charisma as that of a Mark Waugh or the charm of VVS Laxman, but the carefree Jamaican is actually a bundle of nerve and energy akin to 10 large Red Bull cans of power when he comes out to bat. With 22 tons in Tests and 15 from ODI’s, Gayle, the only scorer of 2 double hundreds in tests since for Windies since Lara has over 9000 runs from ODI’s and over 7200 runs from tests, making him a complete batsman. 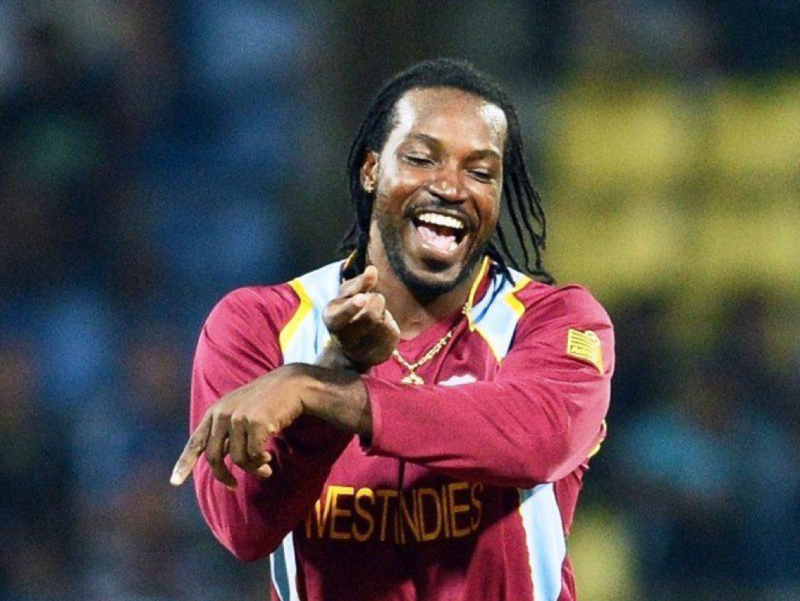 He can both concentrate and decimate in an inning where his taking time to settle down is often an indication of the bowler about to be struck by the “Gayle-storm”. Tendulkar drafted the essential pillars of exquisiteness in cricket’s battlefield. Lara, Kallis and Ponting defined batting by greatness, making cricket an art as much as it being this gripping competiton. Dravid and Sangakkara contested long duels celebrating the victory of determination and technique over oppressive bowling units made redemption sail over belligerence. 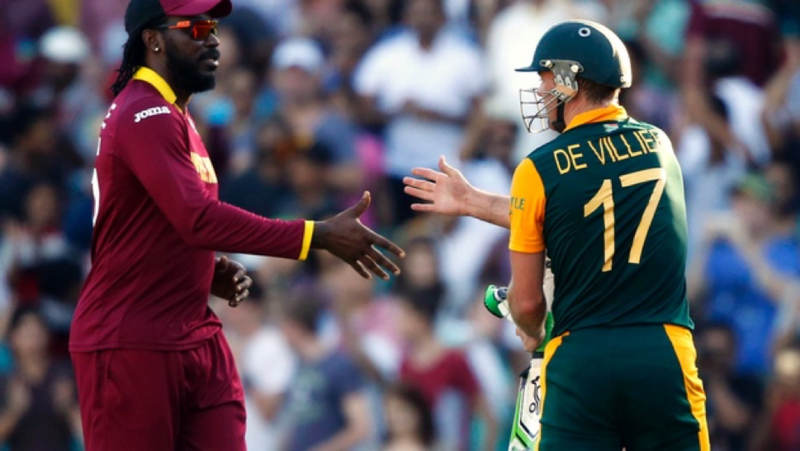 But, the likes of Gayle made cricket seem easy but also adding to it, a clarity of purpose. No other batsman, apart from an Inzimam or Sehwag has received so much battering for seeming way too indifferent and lazy in building an inning. 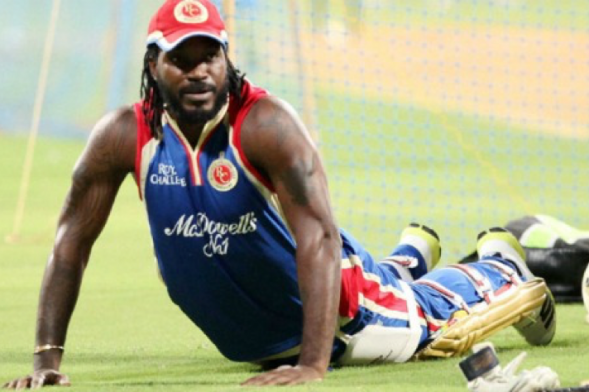 But, had Gayle demonstrated lack of any caution then he wouldn’t have been able to marry concentration with power, playing the waiting game while also playing the smasher of the red cherry, all in the same knock. His famous unbeaten 165 versus Australia in Australia, saved yet another dampening day for the West Indies. Despite being too casual at times and strangely judged for being not up to the mark for facing a Brett Lee, Gayle clobbered the then fastest bowler in world cricket at his own den whilst scoring his way to the fifth fastest test ton, a record he notched right after the 165 run knock. A notorious planner who often seems imposing to best of the bowlers seems to always hide some aces up his sleave. Back in 2012, when he came back to Windies’ struggling test side, he held on to one end when Brendon McCullum’s Kiwis expected him to fire. 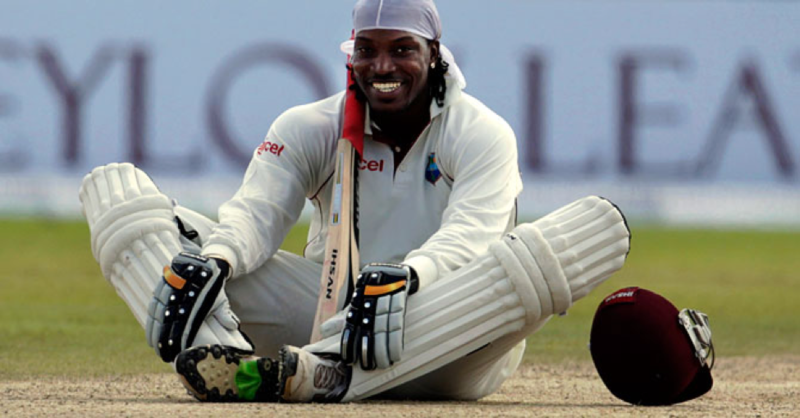 Scoring 150 in his comeback test at West Indies, Gayle left little to imagination. Often found wanting in front of the spinners and the incoming delivery, Gayle mercilessly jolts bowlers into subversion, by sending a ball as easily out of the ground (once delivered short of length) as if he is strolling down the park for fun sake. A seasoned entertainer, who laughs and grins and, often flashes the deadly glare has earned both, respect from fans and contemporaries, such as- De Villiers, Kohli, Steyn, Morkel, Angelo Mathews and also the wrath of condemnation from the WICB, perhaps the most poorly administered cricket board in World Cricket who has only gained notoriety for ill-treating able cricketers such as Chris himself and his friends and co players, Bravo, Pollard and Samuels. 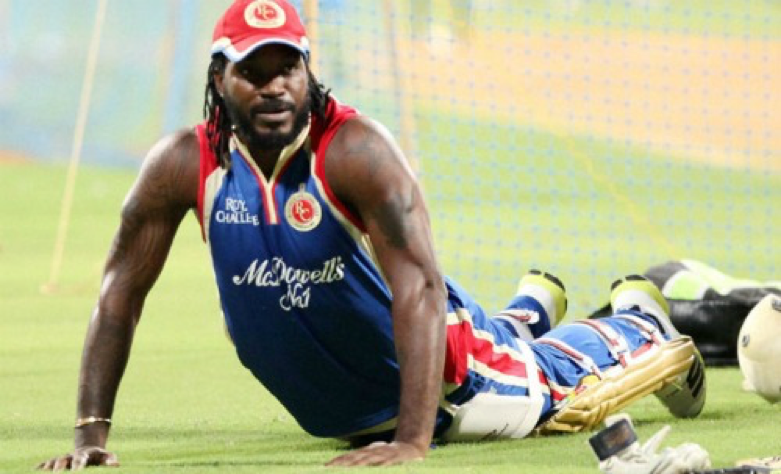 Some of Gayle’s finest knocks have come at most crucial stages of his career. In the first edition of the T20 World Cup in 2007, Gayle was the first ever centurian in the game’s shortest format, striking 117 off 57 against the Proteas. 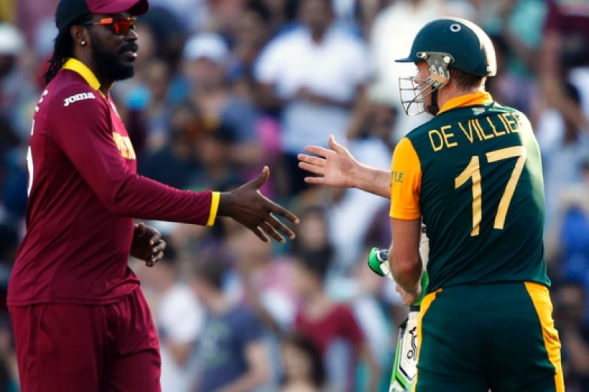 He has often been deceived by B.Kumar and Murali or perhaps, Natahan Lyon but has bolstered Windies to great heights dealing with Styen and Morkel, Perrera and Malinga with brutal batting exploits, as evidently seen in Windies’ most remarkable triumph in 2012, where Gayle powered his side to a world cup triumph in his favorite format; T20. He may have played his final world cup for his age is going against him, but he isn’t done yet. 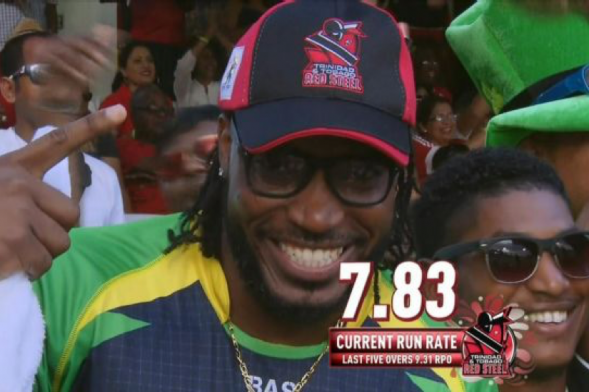 Chris “the mighty” Gayle holds some astonishing records in T20 cricket, a format where he has earned not just a household name but some of his best accomplishments. In April 2013, Gayle became the highest scorer in the IPL’s history, thus so far, scoring 175 off just 66 deliveries, belting 17 sixes. 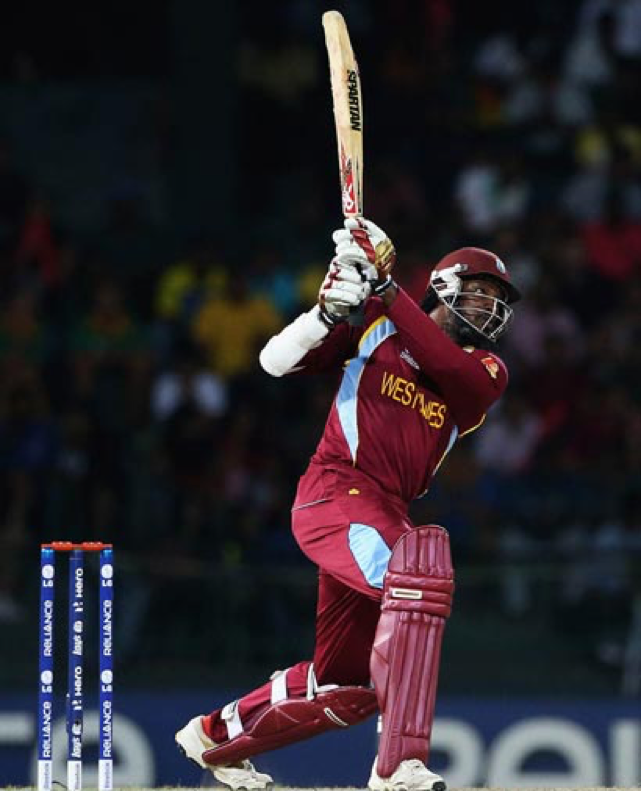 With his monstrous 215 early at the World Cup this year, he also became West Indies’ only double centurian in ODI format. Only 14 triple hundreds have been scored in tests since Lara’s exit in 2007. In the 8 years hence, Gayle has scored 2 of those, a remarkable achievement. He also has to his credit, a world record of amassing over 500 sixes in T20 format, at the international stage and has represented several teams in the format such as Somerset, Jamaica, Barisal Burners, Dhaka Gladiators, Jamaica Tallawas, IPL’s KKR and RCB and Matabeleland Tuskers. With immense concentration in those veins that were built to muster plaudits in a game that he has come to master, as much with his whirring blades’ flashing as by the flexing of those tattooed muscles, Chris Gayle, who even battled a heart condition, continues to serve the West Indies what they need the most: an antidote in the form of his powerful strokeplay, in the wake of which fans have been dancing endlessly for 16 long years to the beat of the “Gayle-Storm”.